We know who’s in. We know who’s out. There’s a sickness in Christianity today. Pastors publicly denouncing other pastors. Bloggers parsing the words of Christian writers, dissecting and weighing their theology to determine if they are orthodox. Christians waving protest signs declaring exactly who God hates. We’ve got an epidemic of the Jonah Syndrome. As it spreads we’re not even noticing when God shows up. Just like Jonah. Do you remember his story? It’s not just about a big fish; in fact the fish is a big distraction. God tapped Jonah for the task of taking a message of judgement to Nineveh. This was the capital of Assyria, a brutal neighboring superpower. The Assyrians would sweep into Israel unexpectedly, burning down villages, leaving every inhabitant dead or enslaved. Jonah didn’t want this job. He booked a cabin on a ship headed across the Mediterranean. His destination? To “flee from God’s presence.” Enroute, a storm hit. Jonah convinced the crew to throw him overboard, ending up as fish food for three days. Knowing he was running out of time, Jonah begged God for mercy. Then the fish, in a bout of divine nausea, spat the prophet onto the shore. With new motivation, Jonah obeyed. An angry street preacher, he railed against Nineveh. To everyone’s shock, the people listened. They turned to God. It’s the ideal outcome for a preacher, you’d think. But Jonah just got angry. Turns out this was exactly why he had run from God in the first place. He knew all about God’s messy tendency to freely distribute mercy, but Jonah hated Nineveh. These people were his enemies. They were immoral. They smelled funny. Jonah’s best hope for them was eternal damnation. What do we do when God shows up? Jonah’s tale shows an interesting contrast as different people responded to God. First, there were the pagan sailors. In the threatening storm, they had been praying like mad to their many gods. But when Jonah hit the water and the storm disappeared, they were awestruck. Jonah 1:16 says, “At this the men greatly feared the Lord, and they offered a sacrifice…and made vows to him.” Surely their theology wasn’t square. That didn’t matter. They were in awe. They worshipped and promised to live differently as a result. Then, there were the Ninevites. They heard God’s message and stopped in their tracks. They begged forgiveness. Even more, they actually changed their behavior. Finally, there was Jonah. He was one of God’s people. He was a prophet. He was raised with God’s word. But when God showed up asking something of him, Jonah ran. When he was confronted by the sailors, he decided he’d rather die in the sea than repent. 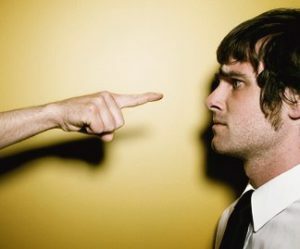 When he obeyed, it was because a fish spat him in the right direction. And then, when revival broke out in Ninenveh, instead of celebrating Jonah whined that he’d rather die than see these pagans turn to God. I’d laugh if it weren’t still happening today. Word Art: Marc Alan Schelske. Original Image credit: Anonymous of the Appleton Compassion Project. Jonah’s problem with grace was that he didn’t want his enemies to be forgiven. In his mind they were foreign, evil and deserved nothing but destruction. He wanted to camp out under a tree and watch the city crumble in a rain of epic smiting. The Jonah Syndrome is rampant in the church today. How many of our words boil down to fights over who we think deserves God’s grace? We’re arguing and debating and painting more signs, while all around us modern pagans, self-help humanists, LGBT folks and others who don’t fit into our “good Christian” expectations are discovering Jesus. They are finding grace and transformation. Who are the people holding onto God’s anger for God? Who are they? It’s only us. The people with God’s story and invitation of grace in our back pockets. We’ve become religious accountants, tabulating everyone else’s balance. In the middle of our hand-wringing, we’re missing out on God’s presence. 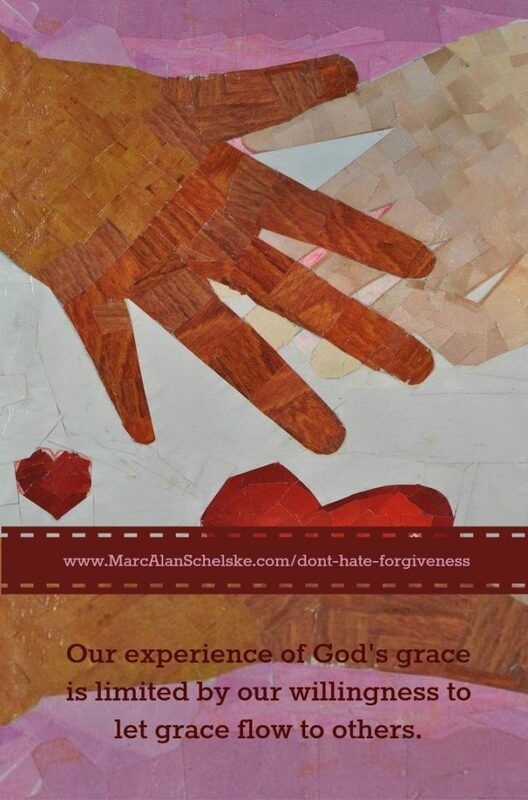 Our experience of God’s grace is limited by our willingness to let grace flow to others. If you have the good fortune of having grown up in a family that loved God and taught you grace, how can you not extend the same to those around you? If you’ve been rescued from the pit by an act of God, you know the reach of God’s mercy. We have no excuse for not throwing ourselves to the floor in gratitude and wonder, and then tripping over ourselves to be the first to share that mercy with someone else. Don’t let it be the pagans in your life, the ones you think know nothing of God’s mercy, who truly worship before you do. Don’t let it be your own judgement of who is worthy that stands in the way of your experience of transforming Grace. God is showing up all around us, and inviting us into His crazy adventure. Are you open for God to truly love and save anyone? Until you are, you’ve not really understood God’s heart. 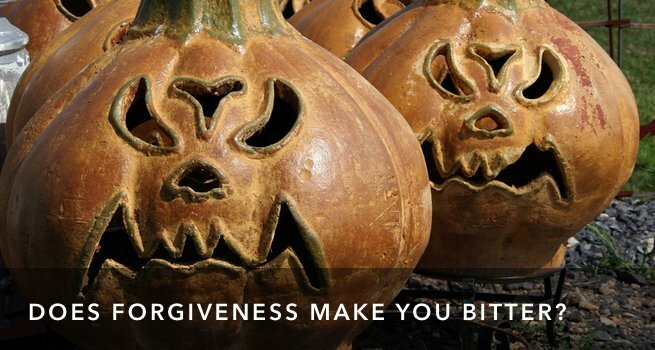 Question: How else do we or our churches struggle with forgiveness?